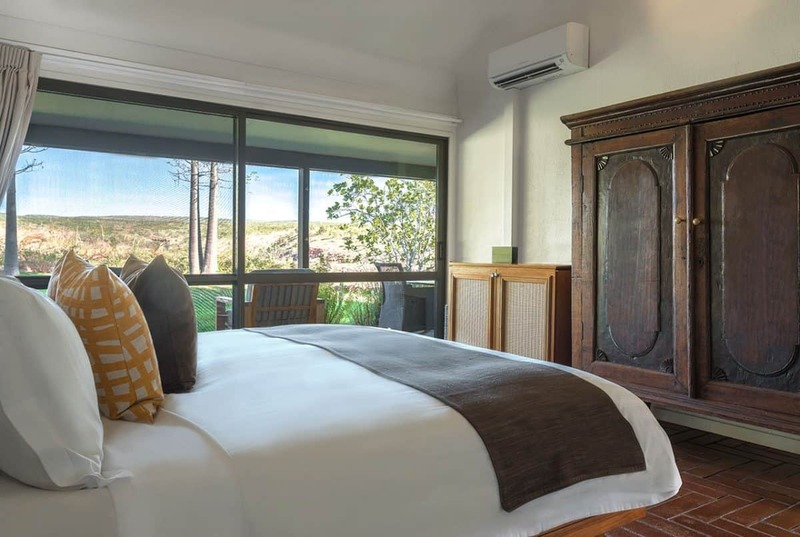 Nestled within the Kimberley’s vast and ancient landscape and hidden amongst burnt-orange cliffs and lush, green lawns sits El Questro Homestead, a pocket of luxurious exclusivity where you’re encouraged to make yourself at home. 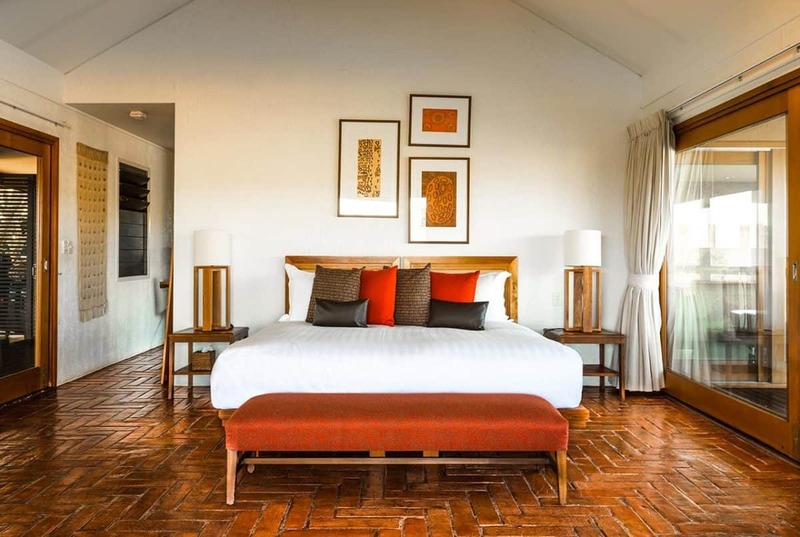 This nine-suite hideaway is surrounded by avenues of frangipani trees and, once inside, offers chic yet cosy and comfortable interiors where bedrooms are cantilevered over the still and tranquil Chamberlain River. Each day at the Homestead is likely to start with birdsong and end with a locally sourced three-course dinner, and matched wines, under a blanket of stars. During a stay at the Homestead guests are offered complimentary excursions, allowing for a fully immersive Kimberley experience. With almost 700,000 acres to explore, the Homestead’s surrounding landscape is dramatic and expansive with something to offer everyone from adventurous explorers down to novice hikers and first-time four-wheel drivers. From this luxurious base guests are invited to choose how to best explore El Questro – by foot, four-wheel drive, helicopter, boat or horseback. Whichever way they prefer a personal tour guide is always on hand to ensure nothing is missed. Alternatively, The Homestead are adept at tailoring personalised itineraries for all time frames and levels of experience. 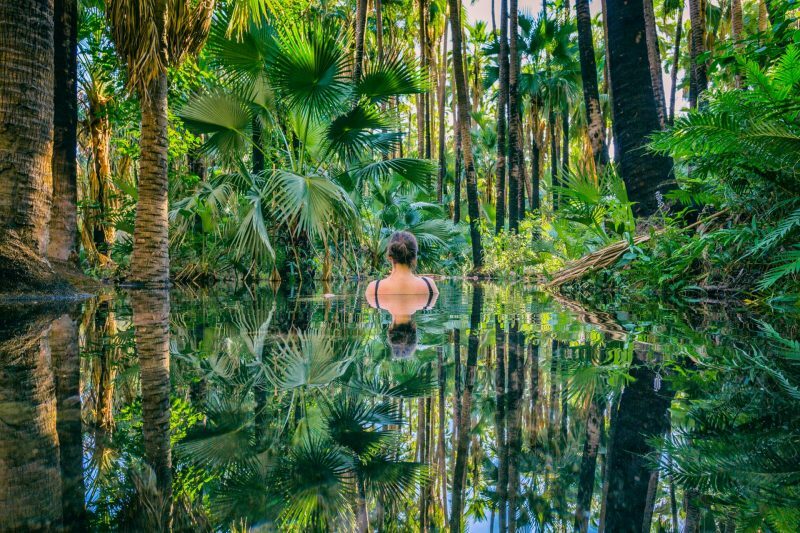 After a day spent swimming under waterfalls, lounging in private thermal springs or being flown over ancient vistas and geological landmarks guests return to The Homestead, where they are greeted by a member of staff, cooling towels and refreshing drinks. 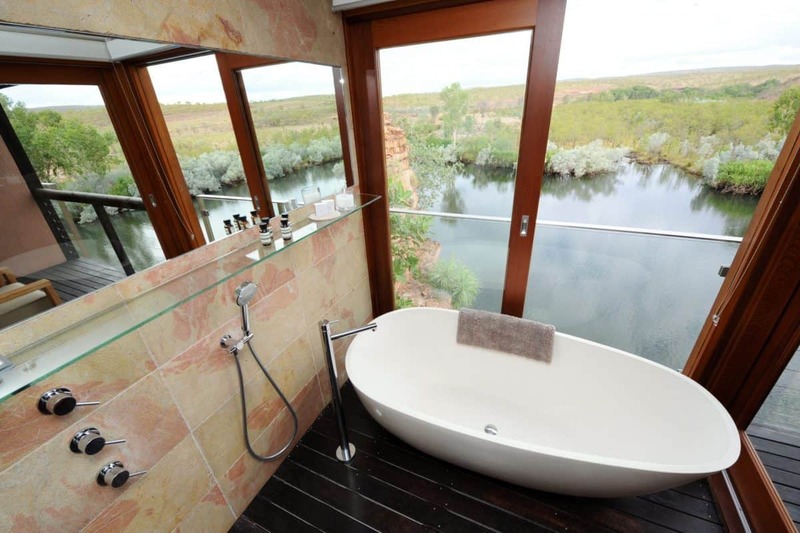 Before pre-dinner canapes and drinks are served Homestead guests are invited to unwind in their suite, each of which has a private deck offering breathtaking views of the outstretched beauty of El Questro. 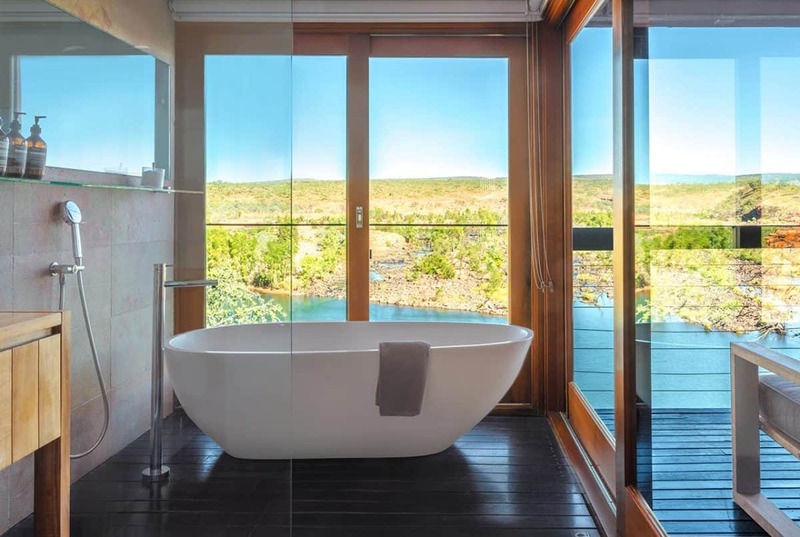 With floor-to-ceiling windows the outside is brought into the suites’ air conditioned and spacious bedrooms and can be enjoyed from atop feather topped beds or cantilevered bathtubs, which look out over the Chamberlain River. 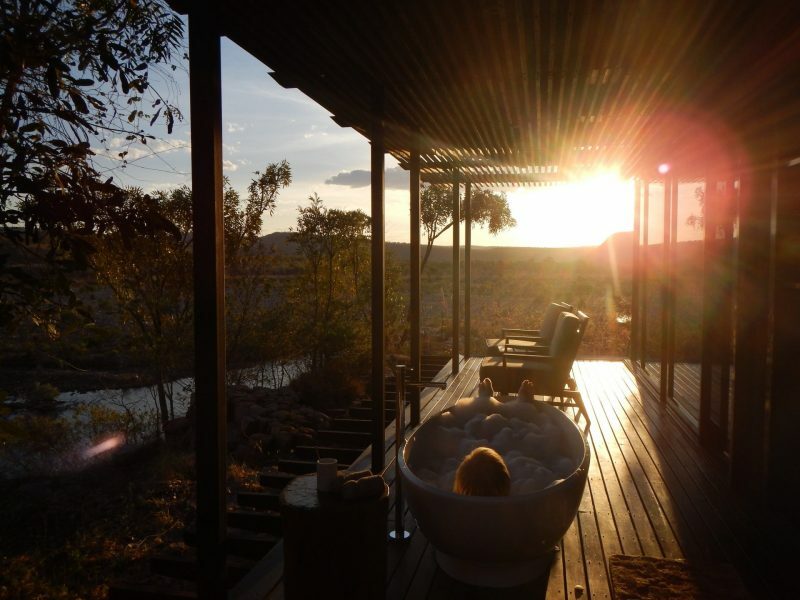 Some suites are home to private outdoor free-standing bathtubs where guests can choose to bathe under the stars before heading down to dinner to regale fellow Homesteaders with tales of another unforgettable Kimberley day.